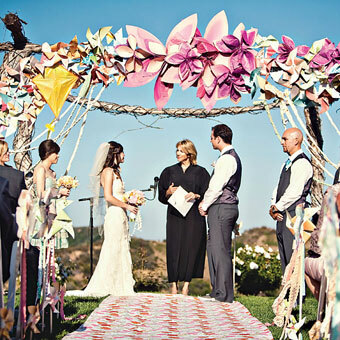 Backyard weddings appeal to couples that want to save money and have a ceremony close to home. You don’t need to pay for a venue and usually, the festivities continue on-site so you can use your own kitchen and barbecue to feed guests. This is type of wedding may not seem traditional by modern standards, but if you look back in history it was quite common. 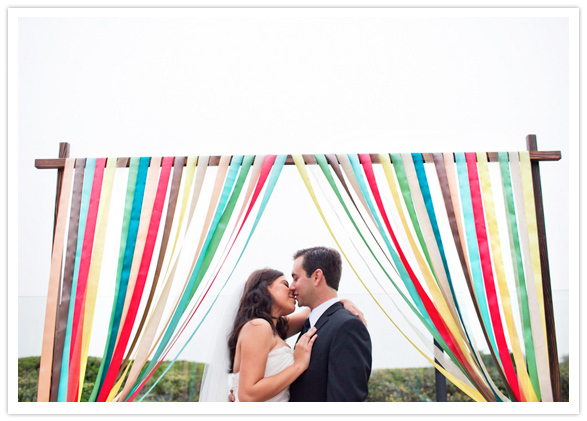 Backyard wedding photographs can be anything the couple dreams of: fun, rustic, whimsical, colorful, etc. Plan your backyard décor to set the mood for the wedding photos. With all the other décor options, it’s easy to forget about a background. Many outside backgrounds are a line of trees or other greenery. But, if you are in a small, cluttered yard, you may have a broken background that won’t look neat in photographs. To fix this, create a backdrop behind the bride and groom. There are many ways to create a backdrop. Some people use streamers, ribbon or strips of fabric. Tie these to a robe and hang it behind the altar area. A screen of soft, continuous fabric also works. If you don’t want to add something to the décor, plan your wedding so the background is simple and uncluttered. 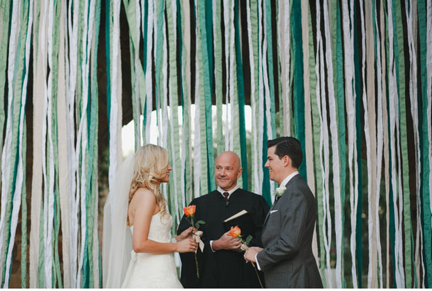 Most outdoor weddings have some sort of frame around the bride and groom while they make their vows. This is often seen in the form of arches, pergolas and gazebos. 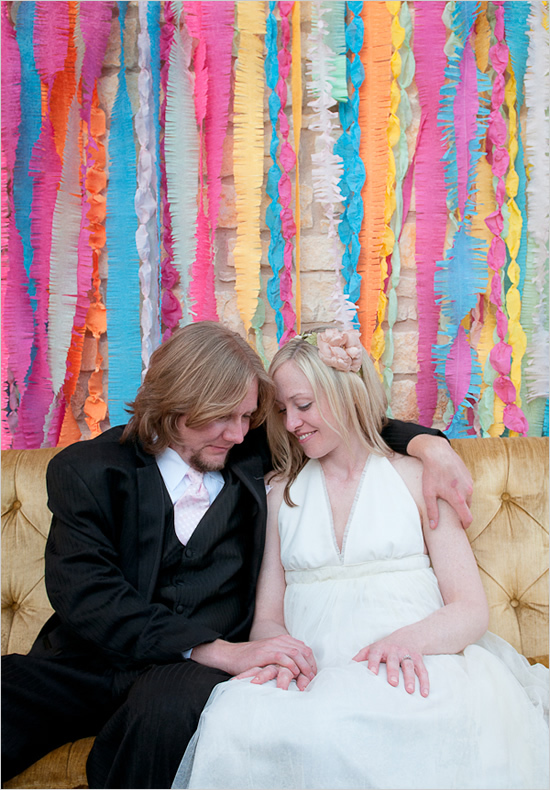 It helps your wedding photos by allow you to decorate vertically with flowers and fabric. It also frames the bride and groom and draws focus to them. Some backyards already have these structures erected as part of the landscaping. However, if you don’t have you don’t have to go out and buy one. You can design your own frame using simple designs like a basic wooden frame and fabric. If you trust the weather, you won’t need a shelter. But, most locations can’t guarantee what the weather will be like. You don’t need to have your wedding vows under a shelter, but you should have shelter as a backup and offer it for your guests during the reception. 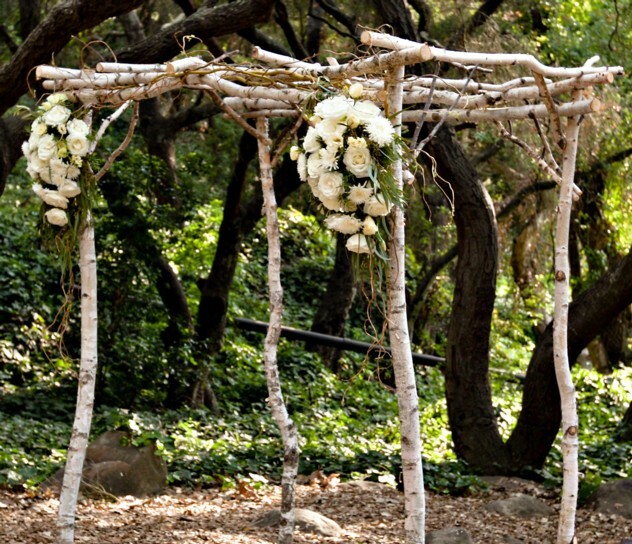 Simple neutral shelters can look elegant and won’t detract from the rest of your wedding décor. 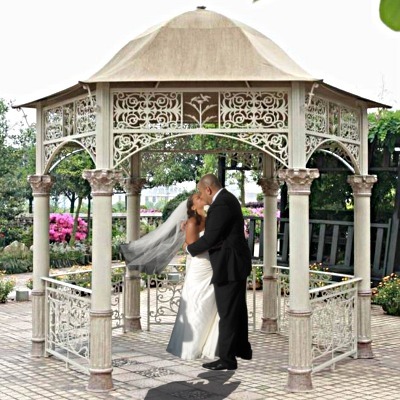 A gazebo is a nice choice for wedding vows. It can protect your from the rain or the sun if you are having a summer wedding in the afternoon. Portable gazebos are quite attractive these days and you can rent larger event tents for people to eat under. Keep your décor ideas consistent throughout the setting. Use similar colors and a neutral background, like white, to help provide continuity in your photos. 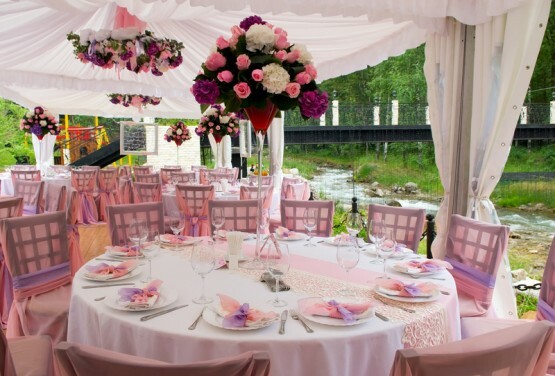 Add spots of colors that reflect your wedding theme and elements that reinforce that. 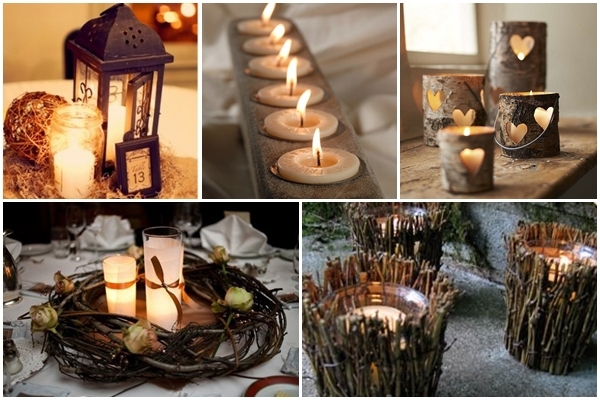 For example, for a rustic wedding you might use a lot of natural wood and candles to decorate the tables. 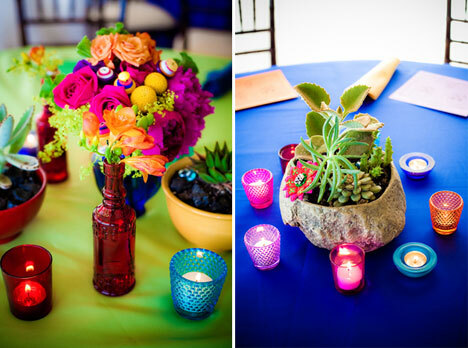 While for a bold wedding, you can use bright, colorful glass and flowers.